MILWAUKEE --(BUSINESS WIRE)--Jan. 19, 2017-- The Marcus Corporation (NYSE:MCS), today announced the appointment of Rolando B. Rodriguez as chairman, president and chief executive officer of Marcus Theatres®. Rodriguez has served as president and chief executive officer of Marcus Theatres, the fourth largest theatre circuit in the United States, since joining the company in 2013. He will continue to serve as executive vice president of The Marcus Corporation. "Rolando has led a high-performing team focused on strategic execution and growth that has driven Marcus Theatres to consistent industry-leading outperformance," said Gregory S. Marcus, president and chief executive officer of The Marcus Corporation. "Rolando is an incredible asset to our team. The additional title of chairman recognizes his tireless work and the results he has achieved since he joined our company." As president and chief executive officer of Marcus Theatres, Rodriguez has led over $200 million in capital investment activity to upgrade amenities and technology at existing theatres, and to develop and acquire new locations with high potential. He and his team have also deepened customer relationships by enhancing the moviegoing experience through new operating strategies such as the Magical Movie Rewards® loyalty program and innovative pricing strategies including $5 Tuesday promotions. He also led the recent purchase of 197 Wehrenberg Theatres® screens at 14 locations in four states, increasing the company's footprint by 29 percent. In addition to leading Marcus Theatres, Rodriguez is also a member of The Marcus Corporation's investment committee and in 2015 assumed responsibility for The Marcus Corporation's real estate portfolio, including all corporate real estate, retail leasing and real estate activity. 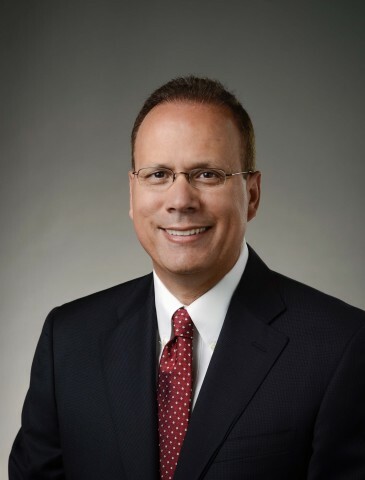 Prior to joining Marcus Theatres, Rodriguez served as CEO, president and a board member of Rave Cinemas, Dallas, Texas, which had been the fifth largest theatre circuit in the United States until its sale in May 2013. He began his movie theatre career with AMC Theatres, now the world's largest motion picture exhibitor, where he served for 30 years in various operations and leadership positions. His career also includes five years with Wal-Mart in regional executive management roles. Rodriguez has received numerous awards, including: the Executive Leadership Award from Hispanic Professionals of Greater Milwaukee (HPGM); Top 100 Emerging Leader by Diversity MBA Magazine in 2009; and Pinnacle Awards for National Marketing Concepts, Industry Leader in Film Marketing and Midwest Marketing, and Industry Leader in Film Marketing and Promotions. Currently, Rodriguez is a member of the executive board of directors of the National Association of Theatre Owners (NATO) and serves on the board of directors for Rave LLC Holdings, the Wisconsin Association of Theatre Owners, the Will Rogers Motion Picture Pioneers Foundation, Children's Hospital of Wisconsin Foundation and the Milwaukee Development Corporation. Rodriguez received a bachelor's degree from Eckerd College in St. Petersburg, Fla. and an MBA from Rockhurst University in Kansas City, Mo. Marcus Theatres®, a division of The Marcus Corporation ,The Marcus Corporation, is the fourth largest theatre circuit in the United States and currently owns or operates 885 screens at 68 locations in Wisconsin, Illinois, Iowa, Minnesota, Missouri, Nebraska, North Dakota and Ohio. For more information, please visit www.marcustheatres.com and follow the company on Facebook and Twitter (@Marcus_Theatres). Headquartered in Milwaukee, Wisconsin , The Marcus Corporationis a leader in the lodging and entertainment industries, with significant company-owned real estate assets. In addition to its Marcus Theatres division, its lodging division, Marcus® Hotels & Resorts, owns and/or manages 18 hotels, resorts and other properties in nine states. For more information, please visit the company’s website at www.marcuscorp.com.